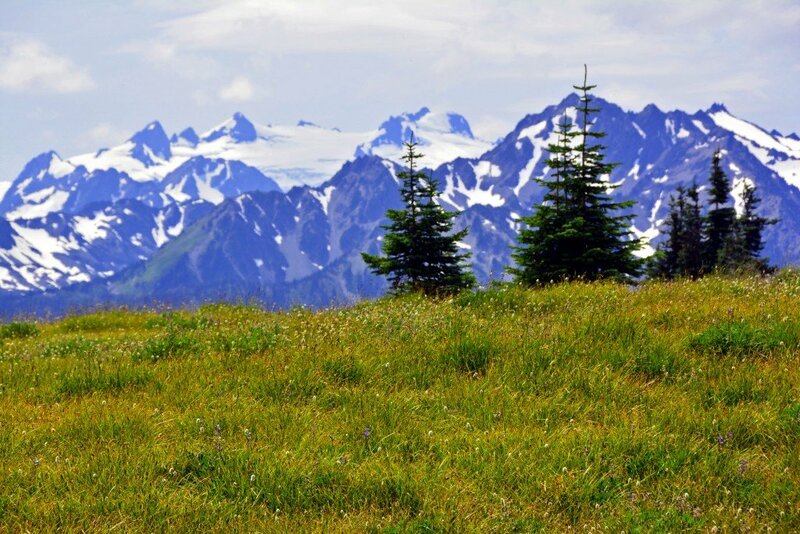 There are many gorgeous views and adventures that await visitors to the Olympic Peninsula in Washington State. 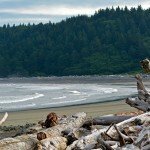 We visited Olympic National Park, which makes up much of the peninsula, in late July and the weather was absolutely perfect! 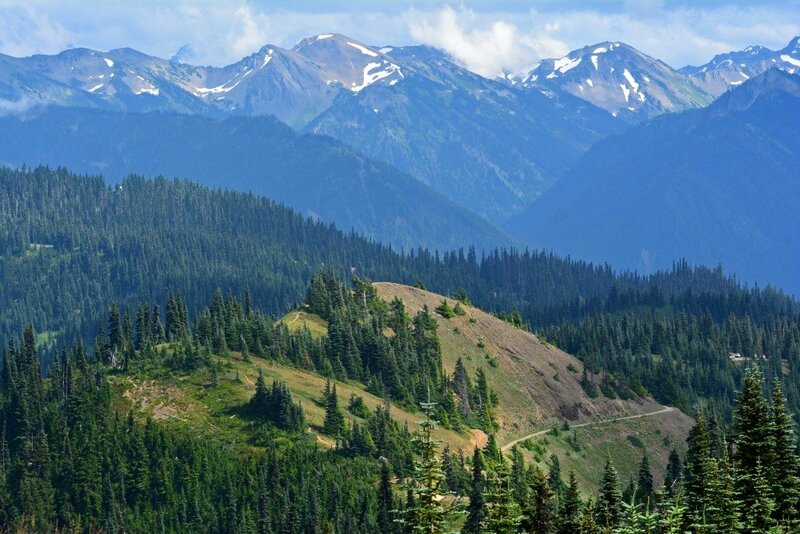 Once on Hurricane Ridge Road, there are plenty of places to pull off and enjoy scenic vistas! 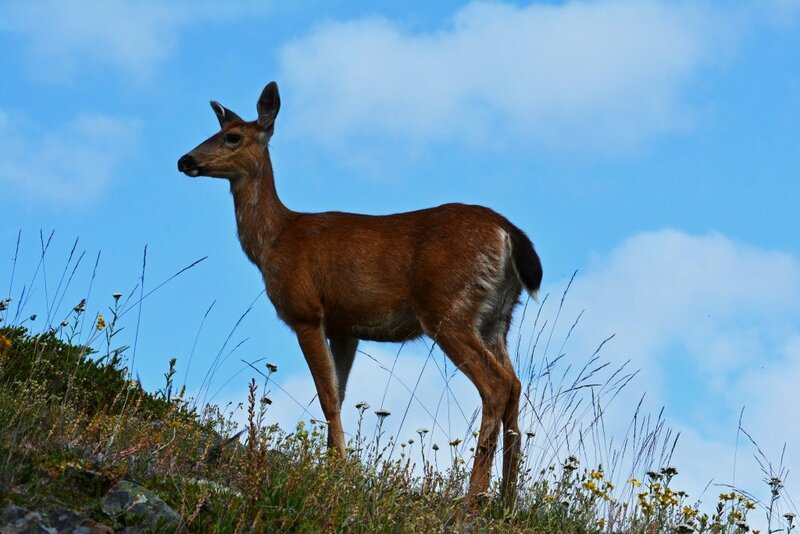 Keep your eyes peeled, as you might see wildlife along the route! 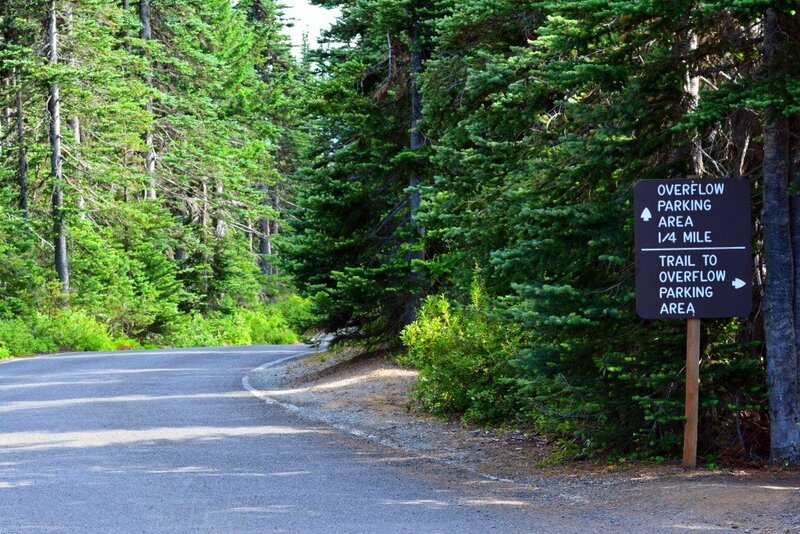 It only costs $15 per car to get into Olympic National Park and that buys you a pass good for 7 consecutive days. Quite the bargain, if you ask us! 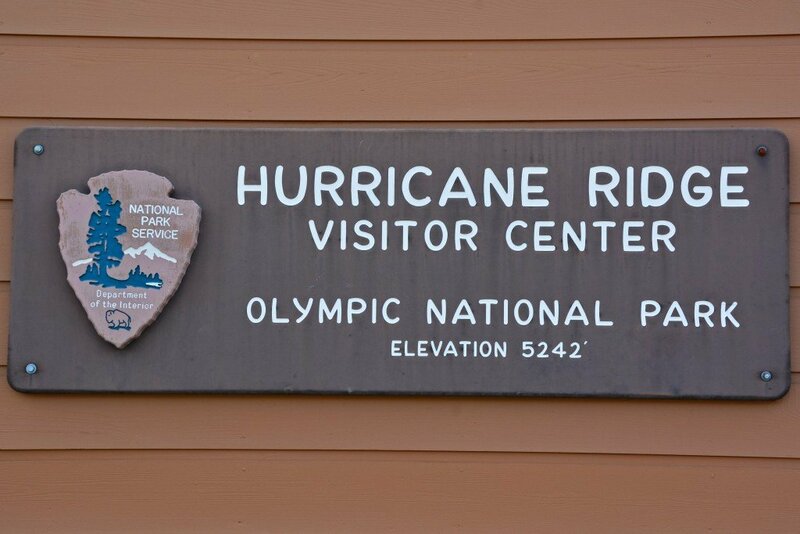 The Hurricane Ridge Visitor Center has exhibits about Olympic’s natural and cultural history, a hands-on Discovery Room for kids, an award-winning orientation film Mosaic of Diversity (25 min; shown upon request), a bookstore, and two short nature trails. 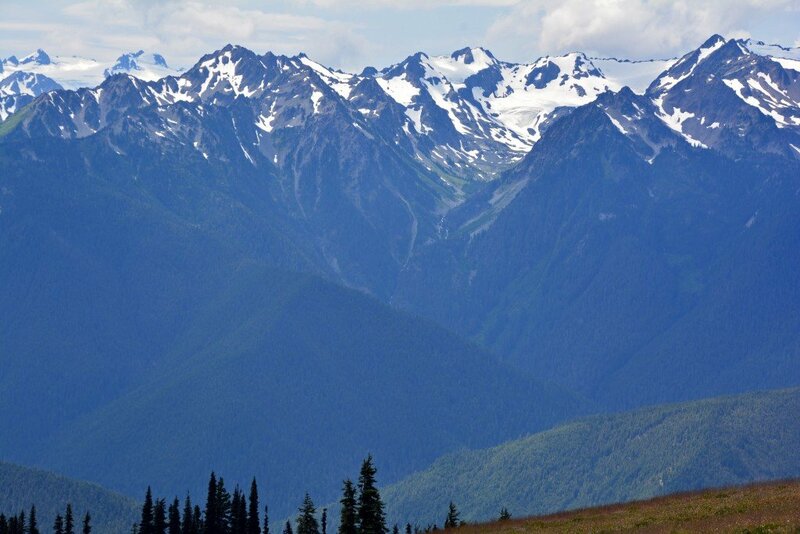 The views from the observation deck behind the Visitor Center offer great panoramics of the Olympic peaks. 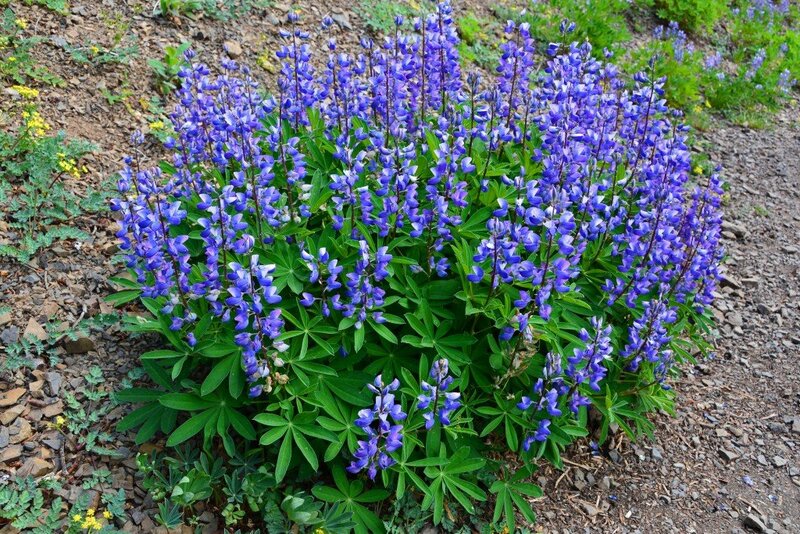 Although it’s the park’s busiest season, and for good reason, the summer provides visitors with frequent blue skies, stunning greenery, blooming flowers, and year-round snow-capped mountains. Simply gorgeous! 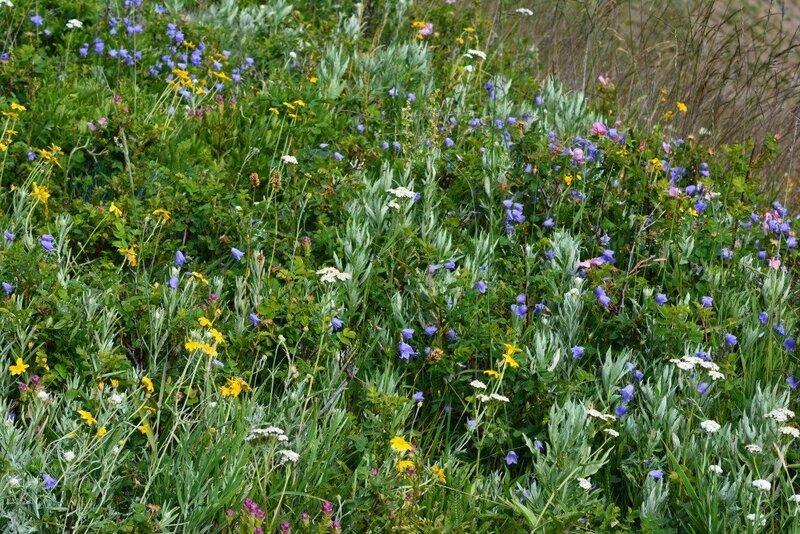 There is abundant wildlife throughout the park. 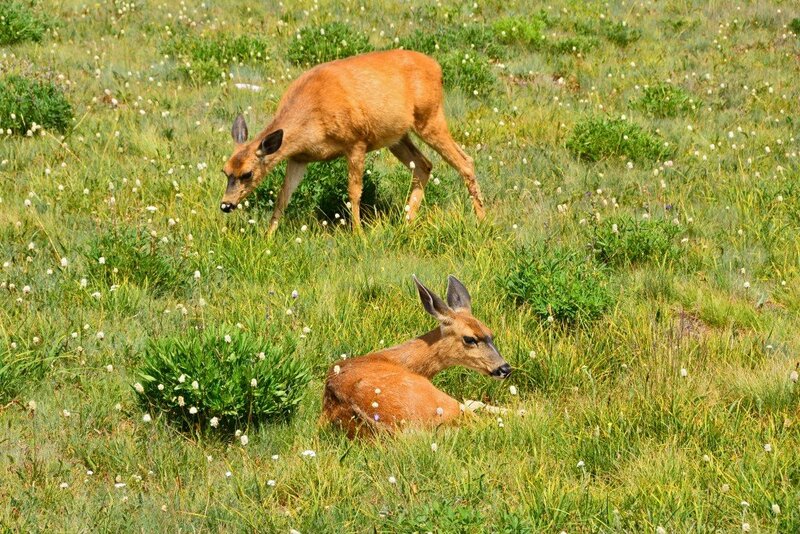 The animals aren’t to skittish, but visitors should avoid feeding the wildlife, as to not get them dependent on humans for food. 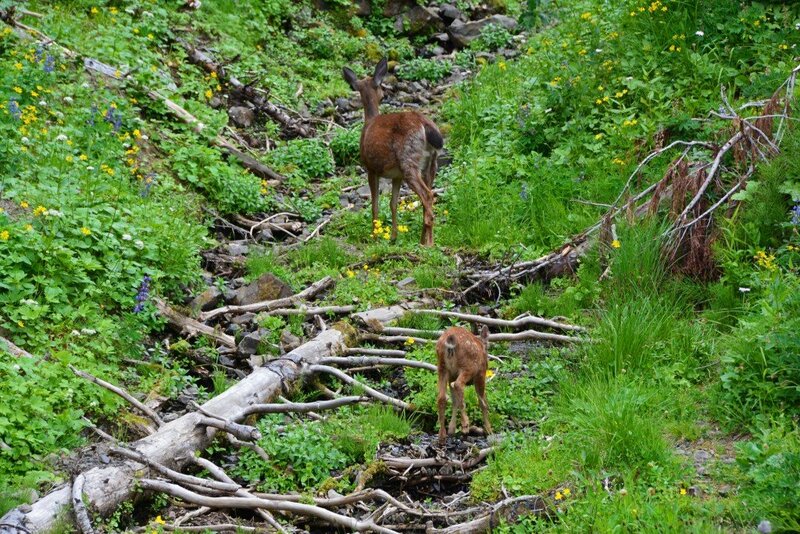 There were plenty of deer right around the Visitor Center during our visit. Just a few miles farther down the road we came upon the parking lot for the Hurricane Hill trailhead. The main lot was full, so we parked at the overflow lot just a 1/4 mile walk from the trailhead. 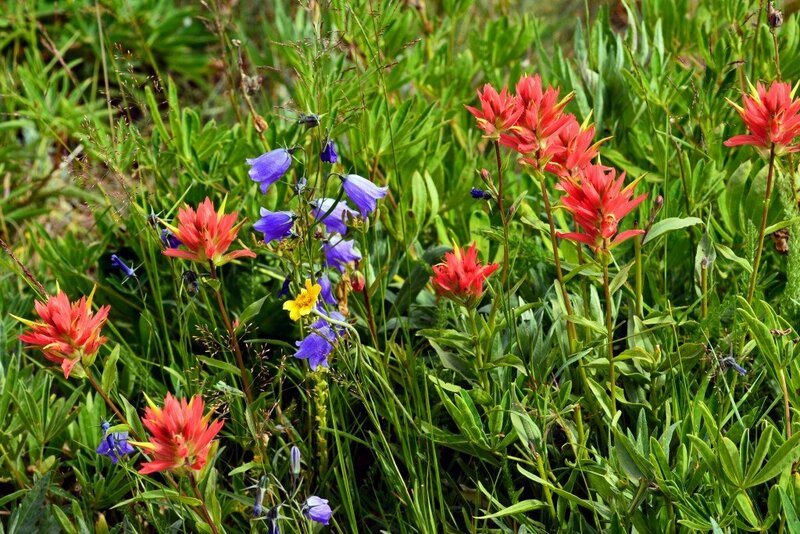 The wildflowers were still in bloom during our late-July visit, creating a vibrant and colorful scene to highlight our walk. 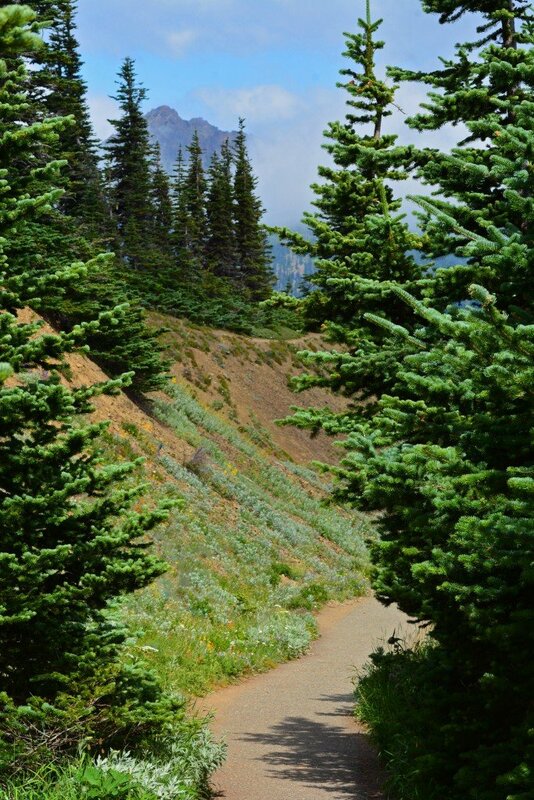 To be honest, considering it was the ‘busy season’, we really didn’t pass too many other people on the trail. It was very peaceful and serene! 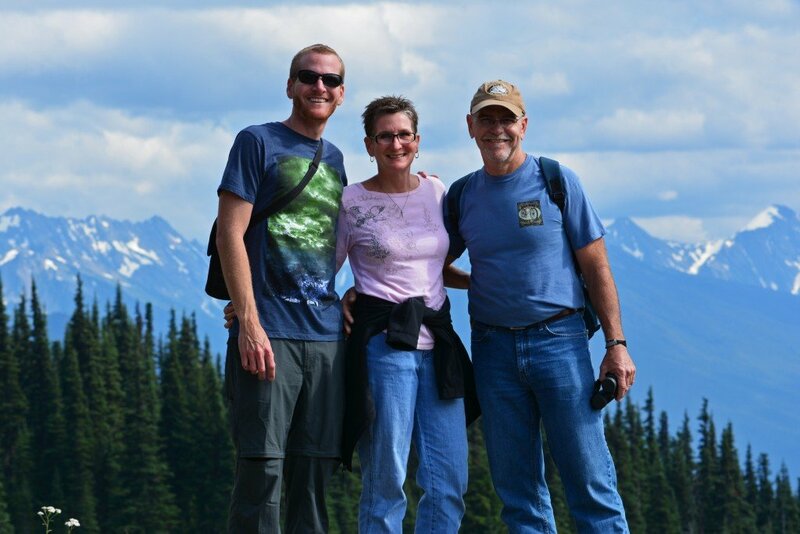 Fresh mountain air and a gentle breeze stayed with us for the duration of the 3-mile round-trip hike. 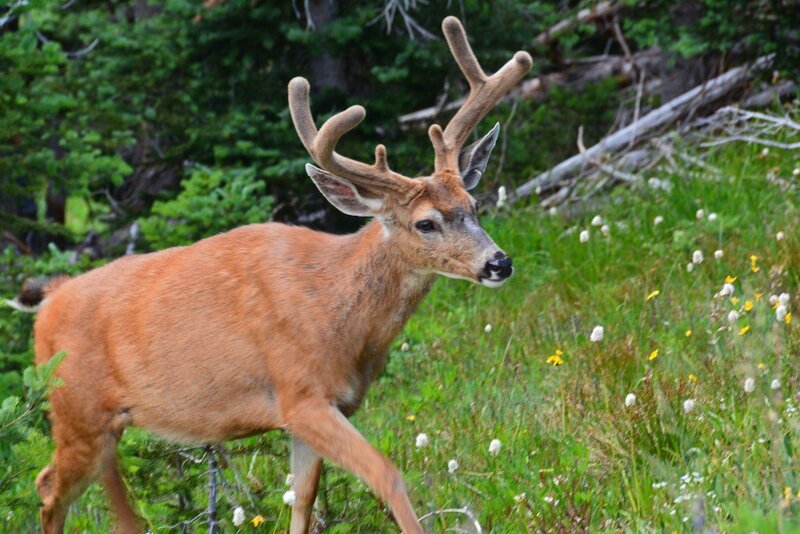 The abundance of wildlife didn’t stop at the Visitor Center… we got up close and personal with some pretty awesome creatures along the trail! This guy popped out from some nearby trees giving us quite a startle. 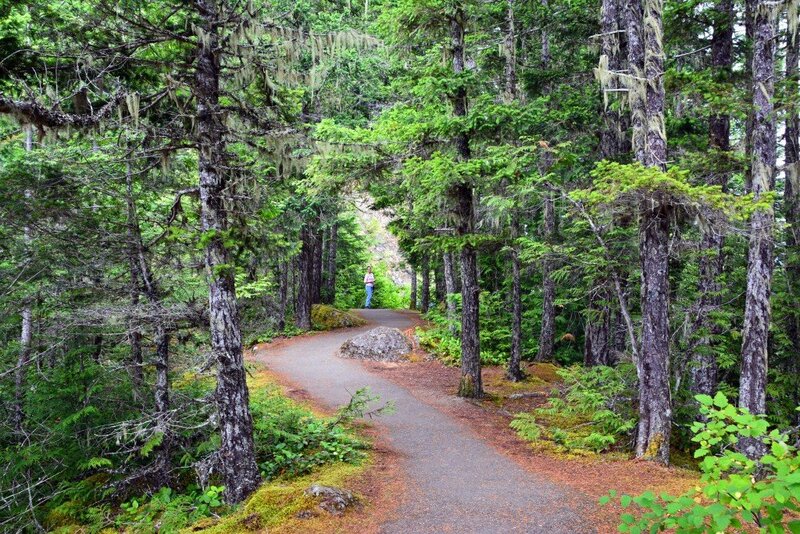 He didn’t seem to mind our presence, as he crossed the trail and disappeared into another set of trees. 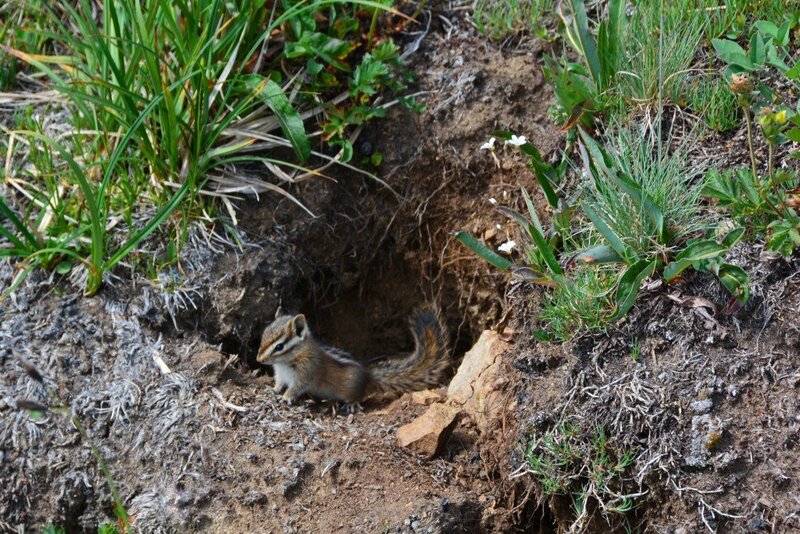 We also saw some chipmunks and felt fortunate to have spotted a few Olympic marmots. 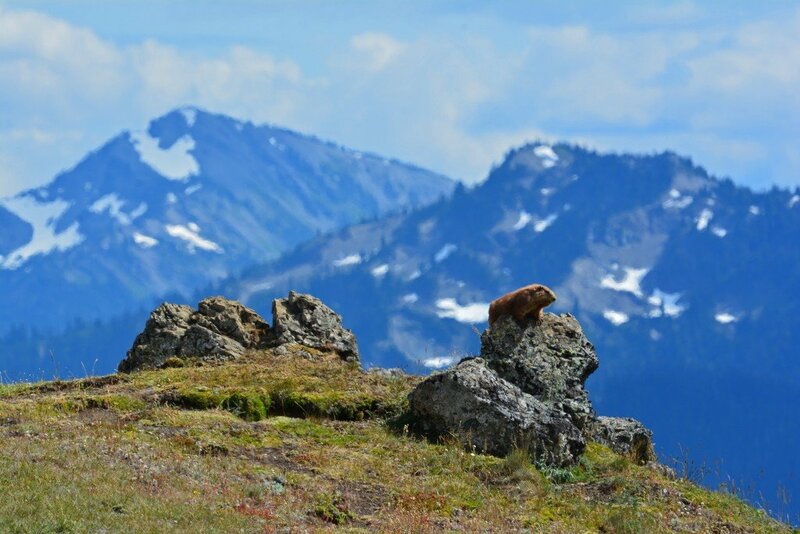 These marmots are endemic to the Olympic Peninsula, meaning they are found no where else in the world. They are quite the vocal creatures, creating high-pitched whistles to communicate with one another. 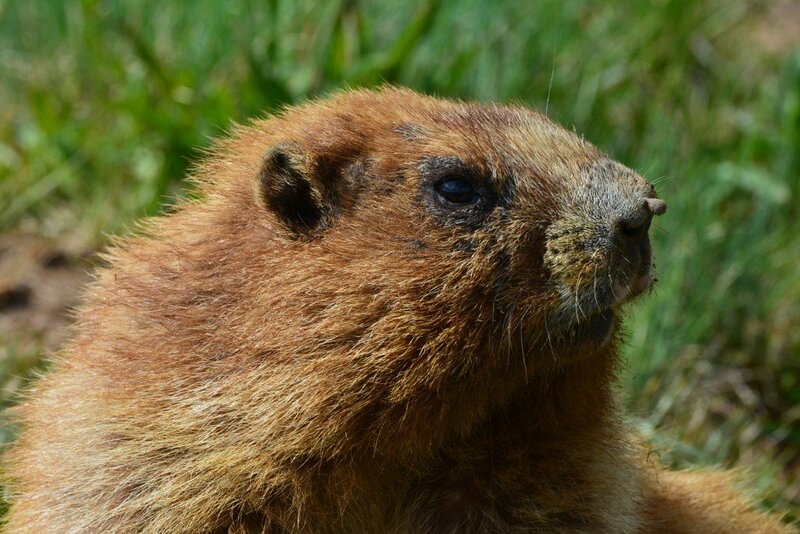 You will only have the opportunity to see the marmots if you visit in the spring/summer months, as they enter hibernation in September/early October. 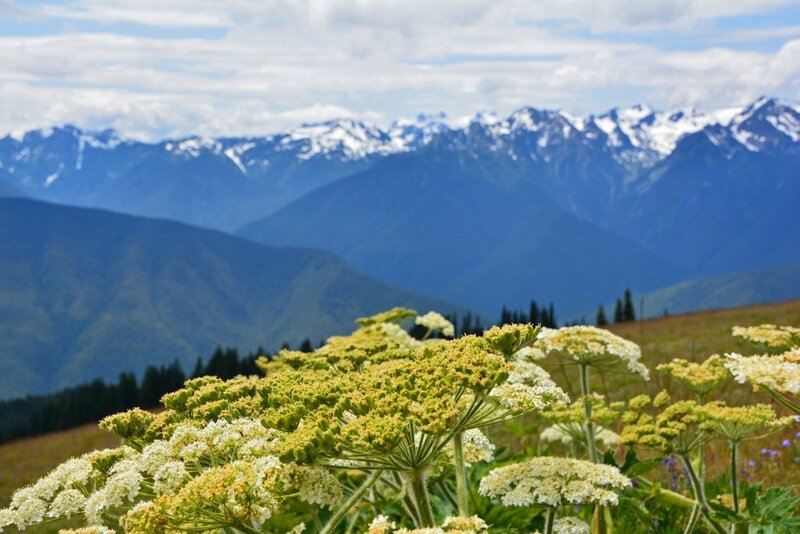 We couldn’t have asked for a more perfect day to explore Hurricane Ridge! 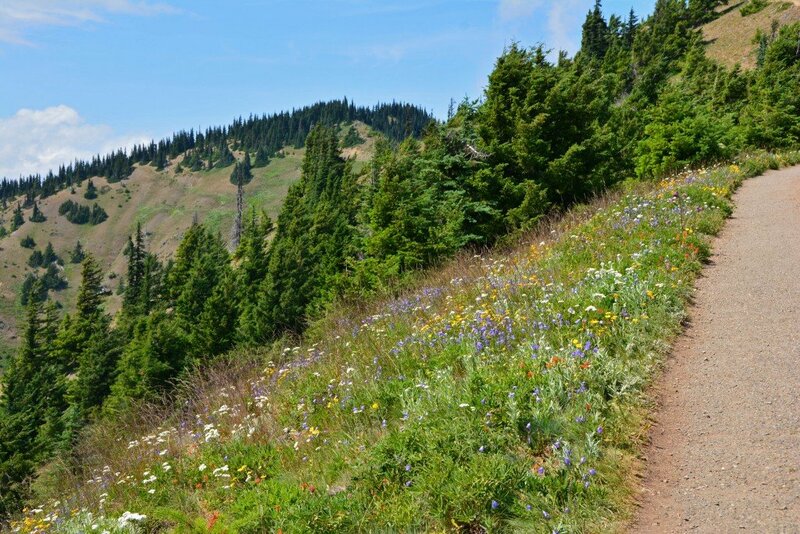 If you haven’t yet visited this gorgeous region of the Pacific Northwest… put it on your list! 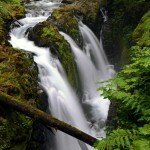 Rain Forests in the US? They Do Exist! What unreal shots guys! 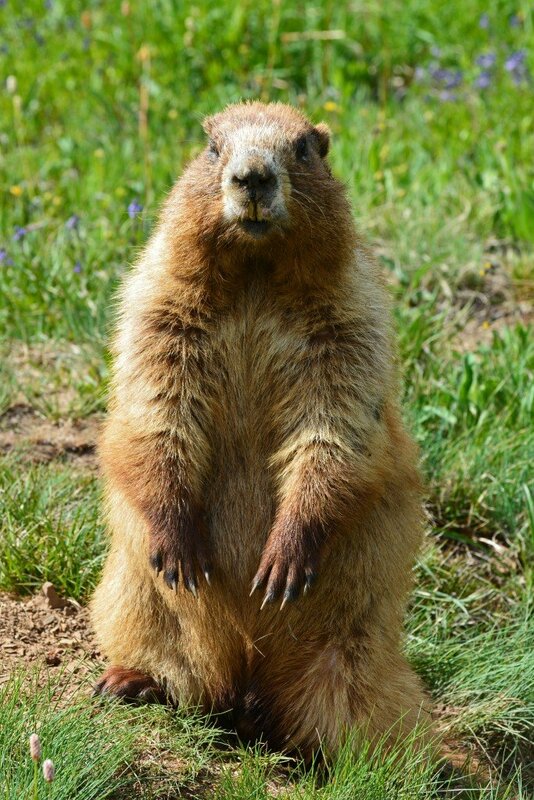 And I love those marmots too 😉 So cute, so adorable. I am a sucker for small woodland creatures. 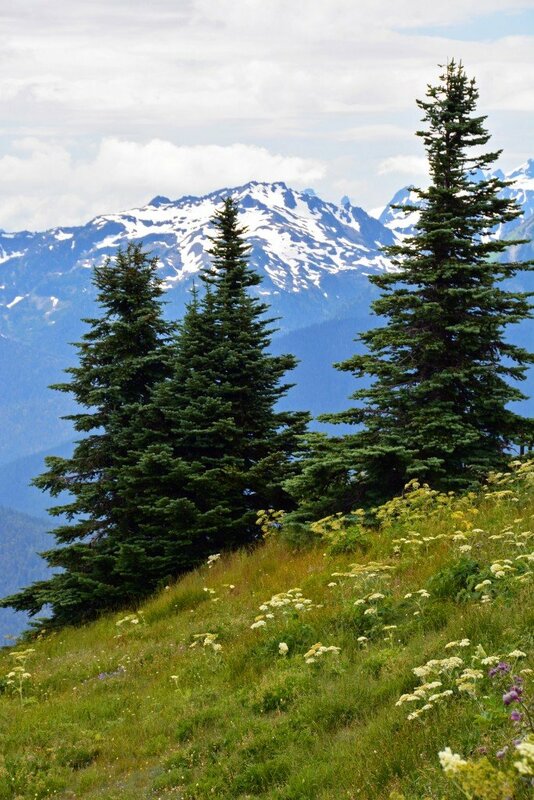 Keep on inspiring and thanks for sharing the beauty of Hurricane Ridge with us! Thanks! It was a gorgeous day with incredible views. Loved all the wildlife we saw, too! 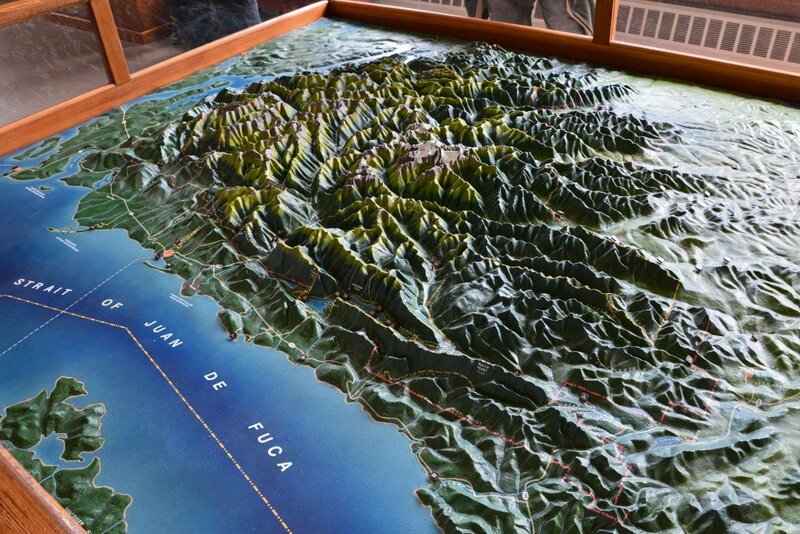 I’d looooove to explore this region one day. Esp. 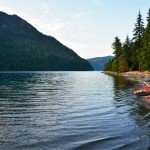 after my previous visit to the USA (back in summer 2013) when somebody told me about Crater Lake in Oregon and then reading Wild by Cheryl Strayed. When whalewatching from Victoria, BC, last May, I saw the Olympic Mountains in the distance and couldn’t help thinking “I want to be there!!! !” like all the time. 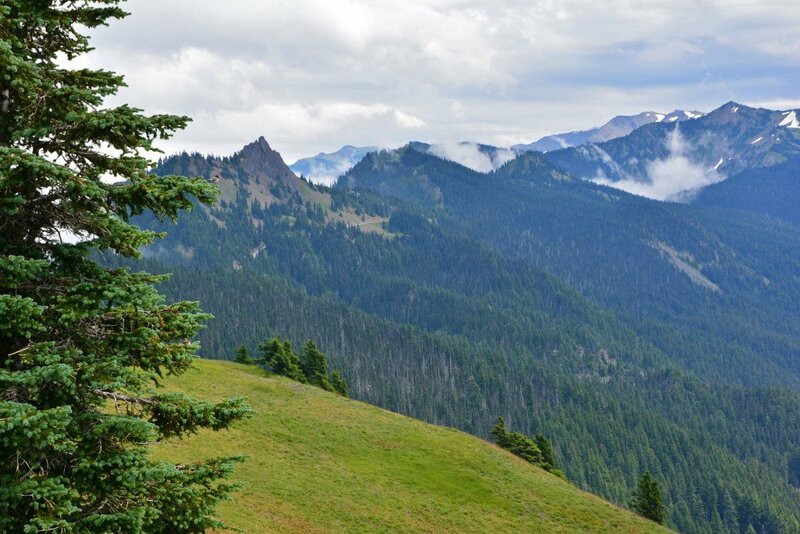 So big chance that after our upcoming big trips in 2015, we’ll head out to the Pacific Northwest for sure! 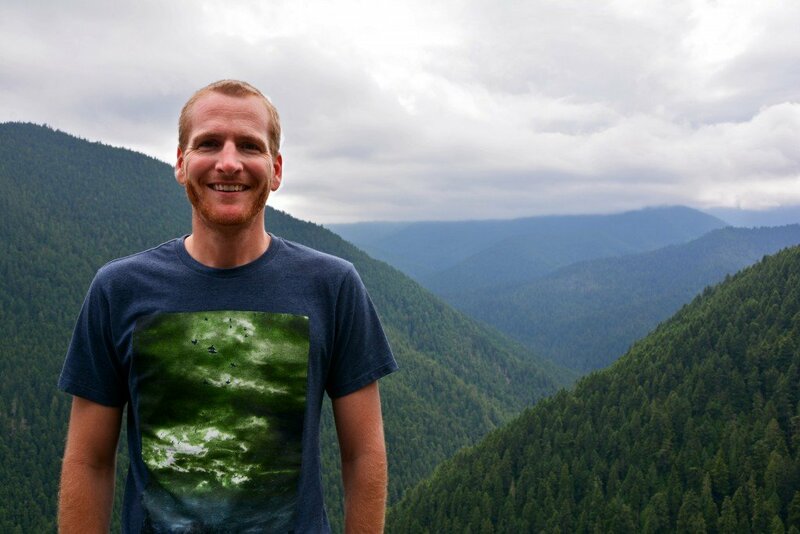 We spent an entire week on the Olympic Penninsula alone… so incredibly beautiful! I can’t recommend it enough.